Believe it not, scientific research confirms video games are good for you (video games are sports, after all). In fact, several studies (which we'll get to in a second) support the findings. But yes, real research from credible sources has shown that playing video games actually does have health benefits—both for the brain and the body. To start, recent studies completed by several noted research and scientific organizations have proven that playing video games could help improve the quality of life for the disabled and mentally ill. The main study, conducted at the Max Planck Institute for Human Development and Charité University Medicine St. Hedwig-Krankenhaus in Berlin, Germany, found that playing video increases grey matter (basically, the size of your brain) and helps refine learned and hardwired skills. In layman’s terms, playing video games directly affects and impacts regions of the brain responsible for memory, spatial orientation, information organizations, and fine motor skills. To determine how video games affect the brain, scientists selected two groups of adults. The first group would play Super Mario 64 for 30 minutes a day, for two months. The second group did not play any video games at all. Scientists used magnetic resonance imaging (MRI) to measure the size of the brain of the groups before the start of the study, then again after the two-month period. By the same token, scientists believe those with mental disabilities (or whose brains had been reduced in size by an accident or medical condition) or others affected by brain disease like Alzheimer’s, could benefit from playing video games as well. With their subjects, scientists saw increases in three major areas of the brain: the prefrontal cortex, the right hippocampus, and the cerebellum. The prefrontal cortex is the part of the brain responsible for decision making, social behavior, personality, and cognitive planning. It makes sense, then, that this area of the brain is affected by playing Super Mario 64, a game which requires gamers to plan ahead and contemplate how to use and interact with objects in a virtual world. The right hippocampus plays an important role in how we process and consolidate information, including short-term and long-term memory. Scientists saw growth here too, caused by players using this part of the brain to navigate Mario’s world. Finally, the cerebellum was also affected—it’s the part of the brain that controls fine motor skills or muscular activity. Again, no surprise that it grew as well, since this part of the brain helps you quickly assess and respond to things happening around you—in this case, using a gamepad to move Mario at a moment’s notice, or to press the “jump” button at just the right time. As you might imagine, the results were more pronounced in those gamers who truly invested themselves in the gaming, and had a strong desire to beat the game or figure out the difficulties of a certain level. So if an action game like Super Mario 64 signals positive benefits for players, games built specifically to train, test, and challenge the brain must be beneficial too, right? Well, since their introduction in the early 2000’s, logic games or brain games have had a love/hate relationship with the scientific community, mainly because of the claims video game publishers have made about these titles. For instance, such claims tout that, for just a few minutes a day, you can train your brain using video games—and in some cases, that these games will make you smarter. While that second point of the statement is still being debated, what’s not being questioned is that brain games aren’t a complete waste of time. Because really, anything that engages your brain and makes you think is good practice. There are a ton of brain games online and more available for your gaming platform of choice. Other brain game benefits include helping players get better with repeated tasks, and they also provide mental stimulation—something that doctors highly recommend, especially for older adults and the elderly. Games can also teach problem solving and strategy, making them valuable tools for kids and teens. In SimCity, players lay out and plan a city, and must think ahead to consider how something like the tax rate may help or hurt the growth of their city, or how street planning and certain zones may impact growth. The game also teaches resource management and planning on a basic level, and it does a nice job of explaining these concepts to younger gamers. Learning and developing these types of strategies can be directly applicable to life as well. Last, an indirect benefit is the fact that several video games are based on real historical events, and can encourage kids to find out more about the world that came before them through research and reading. How else are video games good for you? While they can “make your brain bigger,” they can also help you shrink the waistline, for starters. Exergames like the Wii Fit have experienced a huge resurgence in the last ten years thanks to companies like Nintendo and Konami. How? Load up a session of Dance Dance Revolution and stomp out a dance routine—or better yet, plug in a Wii Fit and you’ll see exactly what we are talking about. Exergames and fitness video games have revolutionized exercising in surprisingly positive ways. Really, it’s the convenience that makes such games so appealing, as they offer an easy way to “get to the gym” without physically going to the gym. And for kids and parents with busy schedules, such games provide a quick way to get in 30 minutes of activity and exercise. Exergames get players up and moving, helping with circulation, joint flexibility, coordination, and balance. And thanks to technology, many of these same games track your progress, through your number of repetitions, and even help you set goals to keep you motivated—all without the commitment of a gym membership. From another physical perspective, video games can improve your eyesight. A study by the University of Rochester proved video games improve vision by making gamers more responsive to different shades of color. The same study, funded by the National Eye Institute and the Office of Naval Research, found that players of action games - like first-person shooters - had better perception of color contrast. Additionally, video games have been proven to improve fine-motor skills in preschoolers, and a study published in the medical journal PLOS One found that surgeons who played video games - more specifically, the Nintendo Wii - became better surgeons! By playing games, they improved their hand-eye coordination and precise muscle movement—both essential skills for their practice. Great, So Play as Much as Possible? So yes, video games are actually good for you on many levels. Of course, we must add, like anything, to maintain such benefits, games should be consumed in moderation. Staying up all night, every single night, to fight off zombies? Maybe not the best thing for your health. Want one more beneficial aspect of video games? Learning the skills needed to create your own game can give kids and teens a leg up when it comes to securing dream internships and lucrative jobs down the road. 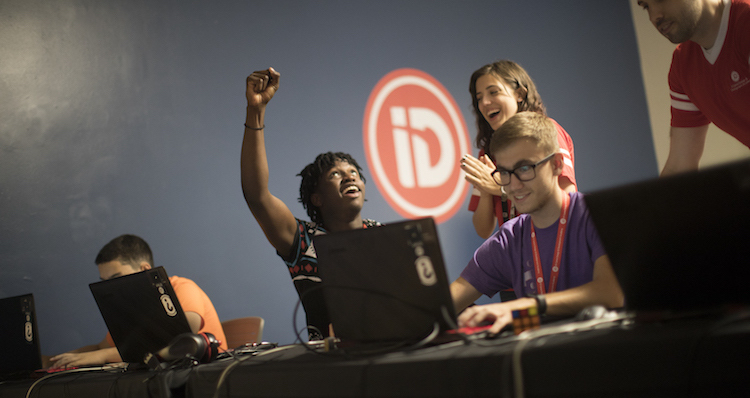 At a summer program like iD Tech, students enter their sessions as pure video game players, and end their week with the knowledge and skills required to become video game creators. 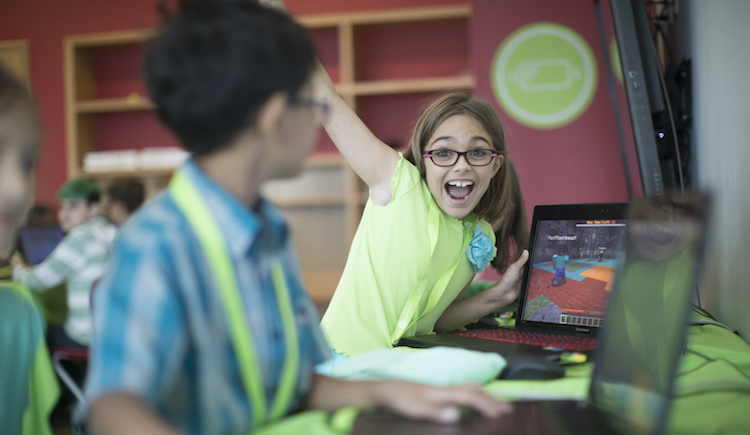 Learn more about iD Tech summer video game design classes for kids and teens.